Have You Tried Running Lately? 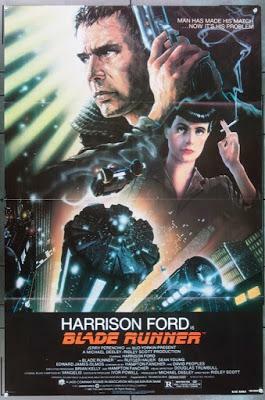 So I after many years finally watched Blade Runner (although it was the Director's Cut) which was directed by Ridley Scott and released in 1982. Usually I refer to Ridley Scott as two things: master of science fiction and master of epic period films, but Blade Runner is perhaps the worst of all his films I've seen (and I've actually almost seen all of them). The reasons I primarily watched it was so I could watch the latest reincarnation of the film and be up to speed. Not certain if that was a great idea or not. The film takes place in the future (2019) where cybernetic beings that resemble humans are hunted down because of some issues earlier versions caused. It is a very grim look of the future (or rather of next year since it is right around the corner). 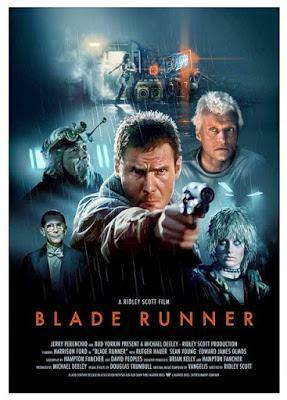 Rick Deckard played by Harrison Ford is one of the best hunters, or Blade Runners as their commonly known, to locate these cybernetic beings. So four of these beings escaped prison and are now on the run hiding and trying to get away to live their own lives. All the meanwhile there is this undercurrent of what it means to be human, to be alive and sentient. Harrison Ford as the rough around the edges/beat cop works well in this film, although he wasn't given much to work with whatsoever as the screenplay was atrocious beyond words, as was the plot. Most of the cast other than him are virtually unknown, at least now; perhaps back in the 80's they were something, but pretty much nothing as of 2018. And actually the casting was pretty poor, but I will throw the talent a bone and write that the direction they were given wasn't all that impressive or good, or even useful. From what I've seen thus far of Ridley Scott's film repertoire, this is his worst film by a long shot. I actually had to fight to stay awake nigh the entire two hours of the film rather than just shutting my eyes fifteen minutes in and going to sleep. Honestly, if I had done that, I wouldn't have missed much. I don't know what he was thinking, but it was if he learned nothing from Alien at all, which I love. The acting was poor in this film, the dialog, the screenplay, the plot; the whole thing was a bunch of nonsense honestly, because I am still confused about what was even going on in the film. Two things however did positively stick out for me; the visuals (at least in the Director's Cut, or The Final Cut or whatever they ended up calling it) and the music score by Vangelis. Together the two worked beyond perfectly! There is something about science fiction films from that era that just feel and look more real than a lot of the same that are released in digital age despite all of the special effects. Not sure what it is, but this film especially had that going for it. If there would have been a decent screenplay and the actors directed effectively, than the movie would have been a smash hit, but instead it was quite the opposite. Honestly, that's all I have to say on that film. Do not watch it, unless you want to be put to sleep, and even if you want to watch it before you see the new one, don't waste your time; and besides, you'll probably be more confused than if you hadn't seen it. To Kill a King, To Kill a Black Panther. "To Be a Getty is an Extraordinary Thing...."